Mr. Graham said he simply wanted to make certain any co-conspirators in the Sept. 11 attacks were made to pay. Still, a federal judge in South Florida is reviewing an estimated 80,000 documents related to the F.B.I.’s inquiry in Florida to determine what to release. Mr. Graham suggested that those documents could include photographs and records of cars linked to the hijackers entering the gated community where the Sarasota family lived. “That will be a real smoking gun,” Mr. Graham said. The case received unexpected attention this year when a former operative for Al Qaeda described prominent members of Saudi Arabia’s royal family as major donors to the terrorist network in the late 1990s. The letter from the Qaeda member, Zacarias Moussaoui, prompted a statement from the Saudi Embassy saying that the national Sept. 11 commission had rejected allegations that Saudi officials had funded Al Qaeda. Mr. Graham’s stature has added weight both to the push for disclosure of the classified 28 pages of the congressional inquiry as well as the legal fight to make public F.B.I. documents about the investigation of the Saudi family in Sarasota. Mr. Graham’s refusal to drop what many in the intelligence community consider to be long-settled issues has stirred some private criticism that the former senator has been out of the game too long and is chasing imagined conspiracies in an effort to stay relevant as he lectures and writes books. Intelligence officials say the claims in the secret 28 pages were explored and found to be unsubstantiated in a later review by the national commission. Former colleagues are not so ready to write off a lawmaker they remember for sounding the alarm against the invasion of Iraq, warning that shifting attention to removing Saddam Hussein would debilitate efforts to rid Afghanistan of Al Qaeda, which Mr. Graham said posed a far greater threat to the United States. “Bob Graham has proven to be prescient about many things,” said Jane Harman, the former California congresswoman who once served as the top Democrat on the House Intelligence Committee. Never one of the flashiest members of the Senate, Mr. Graham was seen more as a cautious, conscientious lawmaker eager to dig into the dry details of policy. His unglamorous reputation no doubt contributed to his inability to catch on during an abbreviated run for the Democratic presidential nomination in 2003. But his colleagues also saw him as a man who would not be easily dissuaded. “Bob is kind of quiet, but once he is on to something, he is like a dog with a bone,” said Tom Daschle, the former Senate Democratic leader. Noting that his wife, Adele, accuses him of “failing at retirement,” Mr. Graham remains involved in Florida conservation issues and other state causes. He has also written books, including the Sept. 11 suspense novel “Keys to the Kingdom,” and handed down his interest in politics and public service to his four daughters, one of whom, Gwen, was elected to the House from North Florida last year. Israel responded sharply to the lifting of the ban. Yuval Steinitz, the intelligence and international relations minister, said it was “a direct result of the legitimacy that Iran is receiving from the nuclear deal that is being prepared, and proof that the Iranian economic growth which follows the lifting of sanctions will be exploited for arming itself and not for the welfare of the Iranian people". Russia and five other world powers including the US agreed a framework pact earlier this month with Tehran to limit Iran’s nuclear ambitions in exchange for ending UN, US and EU sanctions. 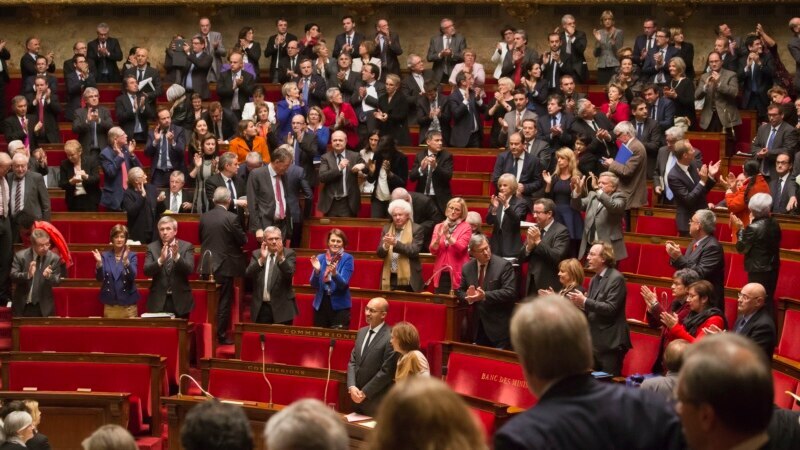 A final agreement must be reached by June 30. Moscow signed an $800m deal to provide S-300 missiles to Iran in 2007, provoking heavy criticism from Israel and the US, which believed they could be used to protect nuclear sites. The deal was never realised because of the Kremlin ban, but Russia’s defence ministry said on Monday that the missiles could be delivered “promptly” if a political decision was made to supply them. Moscow is thought to be establishing a foothold in Iran with an eye on the economic opportunities if sanctions are cancelled. Mr Lavrov, Russia’s foreign minister, told reporters in Moscow that the missiles were an “exclusively defensive weapon”. He said the repealing of the ban “will not hinder the security of any state in the region, including Israel". Mr Lavrov noted that Russia had voluntarily adopted the S-300 ban five years ago, and said it was no longer necessary in the light of the framework agreement on Iran’s nuclear programme made in Lausanne, Switzerland, on April 2. The S-300, also known by its Nato designation, SA-10 Grumble, is a family of Russian long-range surface-to-air missile systems that can be used to shoot down aircraft or missiles. An American once considered a possible target to be killed in Pakistan is in custody in the United States, bolstering an argument that it is feasible to capture terrorism suspects, even in remote parts of the world. Ten years ago I spent time in a residential psychiatric ward. Not to visit a friend, or as research, but because I was mentally ill and a danger to myself. Two things become clear when I read my diary from that period. One is that I was an utter state, and the other is that everyday life on the ward was ridiculous, with a cast of characters to match any sitcom. The diary names a lot of them: the Sleeping Chief, the Knitting Lady, Kid Zombie and “Norman Wisdom”. In the next bed along from mine – and I promise I’m not making this up – was a 6ft 6in Native American man, probably because since One Flew Over the Cuckoo’s Nest, all psychiatric wards must be issued a giant Native American as standard. Sadly I never saw him throw a concrete water fountain through a window, though I’m sure the shockwaves from his constant, rumbling flatulence must have caused some structural damage to the building. The chief executive of the Russian state-run arms trader Rosoboronexport has confirmed that China clinched a contract with his company for the purchase of the S-400 air defense systems. China has signed a contract with the Russian state-run arms exporter Rosoboronexport for the purchase of the S-400 air defense systems, the company’s chief executive Anatoly Isaikin said in an interview with the Russian daily Kommersant. “I will not disclose the details of the contract, but yes, China has indeed become the first buyer of this sophisticated Russian air defense system. It underlines once again the strategic level of our relations,” Isaikin said, when asked whether it was true that Beijing signed a contract for the purchase of four S-400 divisions in September 2014. 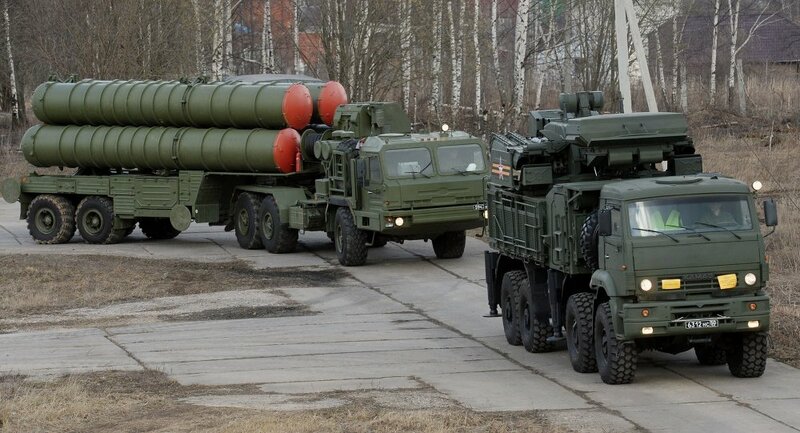 Isaykin also said that “many countries” want to buy the S-400 systems, but added that the manufacterer, VKO Almaz-Antey, is obliged to first deliver them to the Russian Defense Ministry. “Despite the expansion of production capacities, it’s difficult to deliver these air defense systems to several countries. In this regard, China will be the first customer,” Isaikin said. The S-400 Triumf is a new generation anti-aircraft weapon system capable of engaging any aerial target, including aircraft, helicopters, drones, as well as cruise and tactical ballistic missiles with a maximum speed of 4,800 meters per second. Currently, there are nine Russian anti-aircraft missile regiment equipped with the S-400 systems, which were put on service in April 2007.
Who's Recruiting Young Men From Georgia To Fight In Syria? The two teenage boys, 16 and 18, are Kists -- ethnic Chechens from Georgia's Pankisi Gorge were last seen in Pankisi on April 2, and their disappearance has provoked anger and concern among residents of the gorge, who are asking how the two teenagers managed to pass border control and wondering who recruited them in the first place. NEW YORK (Reuters) - Puerto Rico's populations loss, primarily to the U.S. mainland, is being led by younger and less educated sections of the population and boosting the proportion of the college educated among those who remain, according to a blog post by the New York Federal Reserve on Monday. Staunton, April 13 – Political emigres have long played a much greater role in Russia and especially in Russian thinking than in other countries, the result among other things of the fact that Lenin and a tiny band of emigres returned from abroad in 1917 and in the space of a few months carried out a revolution. Now, as a result of Vladimir Putin’s increasing repression at home, ever more Russians are choosing to leave the country not simply for better economic opportunities as was true during the first post-Soviet years but for political reasons. And they are increasingly the focus of Moscow’s concerns and attacks. In today’s “Nezavisimaya gazeta,” Aleksey Gorbachev, that Moscow paper’s political observer, discusses this unfortunate if not unexpected development and points out that “opposition figures who go abroad are now being accused of organizing color revolutions” and even being charged in absentia in Russian courts (ng.ru/politics/2015-04-13/3_emigranty.html). Last Friday, without either the accused or his lawyer being present, Pavel Shekhtman, who has emigrated to Ukraine, was “arrested” in absentia by a Moscow court. Also last week, Finland gave political asylum to Andrey Romanov, formerly of Magnitogorsk. Both were accused of extremism because of their pro-Ukrainian posts on social networks. Olga Kurnosova, a leader of the Russian political refugees in Kyiv – and there are now enough of them that one can speak of such a position, told “Nezavisimaya gazeta” that Moscow is seeking to “accuse many of those who have left Russia of making plans for a color revolution” in their homeland. Romanov faced similar charges and an order for his arrest was issued last December, but before it could be acted upon. The Magnitogorsk internet activist fled together with his family to Finland. On Friday, a Finnish immigration court informed him that he had been granted political asylum in that country, a status which means he won’t be handed over to Russian officials. The increasing number of such political emigres, the “Nezavisimaya gazeta” writer says, has not passed unnoticed by the Russian authorities. Moscow has deployed not only diplomatic and law-like means but also launched media campaigns in the countries to which they have fled, accusing them of fomenting a revolution at home and threatening bilateral ties. This campaign is clearly “coordinated,” Kurnosova says from Kyiv. And she notes that when she and others in her status try to speak via internet telephone with their friends in Russia, the connections are jammed with the same kind of “music” that the KGB used against Western radio stations in Soviet times. “If people who think differently did not exist, they would have to be invented to justify the fact that they are being forced to leave the country. The theme of a color revolution in Russia today sounds like unreal science fiction. But the siloviki prefer to protect themselves” by pushing people out and thus justifying what the organs are doing. 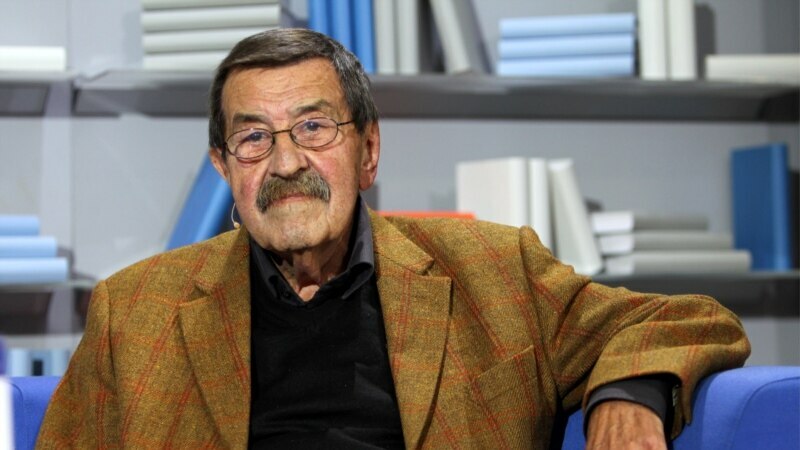 Guenter Grass, the Nobel-winning German writer who gave voice to the generation that came of age during the horrors of the Nazi era but later ran into controversy over his own World War II past and stance toward Israel, has died. He was 87. Matthias Wegner, spokesman for the Steidl publishing house, confirmed that Grass died Monday morning in a Luebeck hospital. Grass was lauded by Germans for helping to revive their culture in the aftermath of World War II and helping to give voice and support to democratic discourse in the postwar nation. Yet he provoked the ire of many in 2006 when he revealed in his memoir "Skinning the Onion" that, as a teenager, he had served in the Waffen-SS, the combat arm of Adolf Hitler's notorious paramilitary organization. In 2012, Grass drew sharp criticism at home and was declared persona non grata by Israel after publishing a prose poem, "What Must Be Said," in which he criticized what he described as Western hypocrisy over Israel's nuclear program and labeled the country a threat to "already fragile world peace" over its belligerent stance on Iran. A trained sculptor, Grass made his literary reputation with "The Tin Drum," published in 1959. It was followed by "Cat and Mouse" and "Dog Years," which made up what is called the Danzig Trilogy - after the town of his birth, now the Polish city of Gdansk. Reaction to Nazism Combining naturalistic detail with fantastical images, the trilogy captured the German reaction to the rise of Nazism, the horrors of the war and the guilt that lingered after Adolf Hitler's defeat. The books return again and again to Danzig, where Grass was born on Oct. 16, 1927, the son of a grocer. In the trilogy, Grass drew partly on his own experience of military service and his captivity as a prisoner of war held by the Americans until 1946. "The Tin Drum" became an overnight success - a fact that Grass told The Associated Press in 2009 surprised him. Asked to reflect why the book became so popular, he noted that it tackles one of the most daunting periods of German history by focusing on the minutiae in the lives of ordinary people. Then he quipped: "Perhaps because it's a good book." Three decades after its release, in 1999, the Swedish Academy honored Grass with the Nobel Prize for literature, praising him for setting out to revive German literature after the Nazi era. With "The Tin Drum," the Nobel Academy said, "it was as if German literature had been granted a new beginning after decades of linguistic and moral destruction." Russia imposed the ban and scrapped a contract for delivery of S-300s in 2010 under pressure from the West, after backing the last round of UN sanctions imposed on Tehran over nuclear activities the United States and other nations feared were aimed at developing atomic weapons. Reuters any further details. Russia's Agriculture Ministry declined comment and the Energy Ministry did not immediately respond to request for comment. There was no comment from Iran. said, according to Reuters. Some material for this report came from Reuters. Staunton, April 13 – Statements by Russian security officials and actions by siloviki including declaring a new counter-terrorism operation against an area of 4500 square kilometers with some 368,000 people show that Daghestan has become “the northern front” of the Islamic State, according to Anton Bredikhin. In a study on the Kavkazoved portal, the analyst notes that “the authorities and special services are worried that participants [from the North Caucasus] in the illegal armed formations [of ISIS] will again return to Russia and that the terrorist war [there] will continue with new force (kavkazoved.info/news/2015/04/13/dagestan-severnyj-front-islamskogo-gosudarstva.html). Senior FSB officials have identified North Caucasians among the senior commanders of ISIS and have suggested that “no less than” 1700 Russian citizens are now fighting with that force, almost all of whom are from the North Caucasus and especially from Daghestan, the most Muslim of Russia’s southern republics. For the last three weeks, Russian siloviki have been conducting a counter-terrorist operation in six adjoining regions of Daghestan: Buynaksk, Novolak, Kazbek, Khasavyurt, and Kizilyurt, areas that include not only highland rural areas but the cities of Buynaksk, Kizilyurt and Khasavyurt as well. The scale of the operation suggests, the analyst says, citing the work of Akhmet Yarlykapov, a scholar at the Moscow Institute of Ethnology and Anthropology, that the Russian force structures have “operational information” about the appearance in Daghestan of former militants of the Islamic State. Bredikhin says that Russian official figures confirm the increasing activity of militants in Daghestan: between 2010 and 2014, the number of terrorist crimes there went up from 63 to 472, the number of people identified as having committed them from 36 to 251, the number of extremist crimes from five to 50, and the number of people identified as having committed them from one to twelve. So far, the ISIS-linked groups are less well-organized and aggressive than the Dzhokhar Dudayev battalion which has gained fame for its fight against pro-Moscow forces in Ukraine. But whether this will remain the case is very much an open question, the North Caucasus analyst says. But regardless of how limited the threat appears to some in Chechnya and Moscow now, “that ‘a Northern Front’ of ISIS has been opened in Daghestan is a confirmed fact.” And Daghestan is ultimately only a small part of the problem, Bredikhin says. The ISIS returnees have formed “a straight line of instability” between the Islamic State, the Pankisi Gorge, and Daghestan. Whether it will intensify and spread further depends, he suggests, on what Moscow does next. But the center’s task is clear: it must “strengthen its positions in the Caucasus and the Near East” in order to protect Russian territory. Iran says it is ready to conduct joint counterterrorism operations with eastern neighbors Afghanistan and Pakistan. 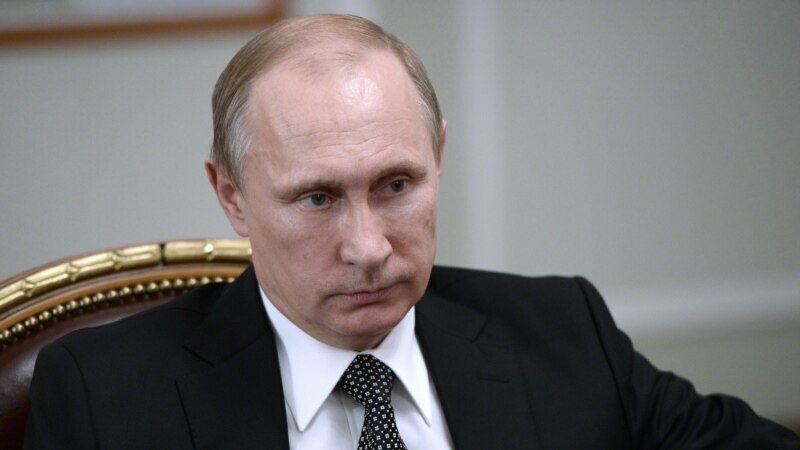 The Russian president, Vladimir Putin, has opened the way for the controversial delivery of a sophisticated anti-aircraft missile system to Iran which had been under embargo for the past five years. President Vladimir V. Putin moved swiftly to take advantage of a possible thaw in relations due to a potential deal curbing Iran’s nuclear ambitions. Staunton, April 12 – Karelian activists say that the recent suggestion by Russian National Security Council chief Nikolay Patrushev that Finnish “revanchism” is behind the upsurge in popular anger and activism in Karelia is absurd and that the real cause lies in Moscow’s heavy-handed Russification policy as carried out by incumbent republic head Aleksandr Khudilaynen. On March 20, Patrushev told a Petrozavodsk meeting that there had been “an activation of nationalist and revanchist social-political organizations in Finland and that their influence via a number of domestic NGOs on the population of Karelia had grown” in recent months (newsru.com/russia/19mar2015/patrushev.html). Many Moscow media outlets treated subsequent protests in Karelia about the arrest of two Yabloko activists and calls for ouster of Khudilaynin and his team as evidence of this. But Karelian leaders and activists argue that the Finns are not playing the role Patrushev says they are and that Moscow’s policies are to blame (svoboda.org/content/transcript/26949564.html). Galina Shirshina, the mayor of Petrozavodsk who won office by defeating a Kremlin candidate in a free election, says that she “cannot remember any Finnish revanchist organizations” but does have good relations with sister cities in Finland and that her contacts work to the benefit of Karelia and Russia. The openness that she and her staff practice, she continues, allows them to provide a context to Finns who might otherwise have “a negative attitude” toward “what is going on in Russia. She suggests that the Moscow official made his declaration only “in order to distract the attention of people from real problems.” What should be happening is not a witch hunt for “enemies foreign and domestic” but rather a search for “investors and effective managers” if the republic and the country are going to get out of the current crisis. Vadim Shtepa, a leading activist of the Republic Movement of Karelia, has the same view: “When real threats do not exist, they are invented” by the security agencies “to give the impression that their activity is useful.” Given Karelia’s location and links with Finland, it is a convenient target, he suggests. He acknowledges that in Finland there are a small number of groups interested in the reintegration of Karelia or at least part of it, but Shtepa points out that they are “marginal” and do not have the support of any political party. The main reason? It would cost Helsinki enormous sums to do so just as it cost Western Germany to reintegrate East Germany. ​ The real source of popular anger in Karelia, according to Anatoly Grigoryev, the president of the Karelian Congress, is Moscow’s policies of russification of the population. It has reduced the number of non-Russian language newspapers and journals, cut their frequency and circulation, and eliminated most non-Russian television and radio broadcasting. Shirshina says that another reason things are heating up is that there may be an electoral challenge to Khudilaynin whose term ends soon. His supporters are using their administrative resources to isolate the opposition, and the opposition in turn is responding with demonstrations that they hope will make the Kremlin insist on his retirement. More than 5,600 people were rescued from the sea over the weekend, fueling concerns of a migrant crisis even worse than a year ago. LONDON (Reuters) - Brent crude rose towards $59 a barrel on Monday as a slowdown in U.S. drilling continued to support prices, offsetting a drop in Chinese oil imports. The U.S. Court of Appeals for the District of Columbia Circuit is questioning the Department of Homeland Security’s decision to keep secret its plan to shut down mobile phone service during “critical emergencies.” The court originally sided with the federal government that the plan should not be disclosed under a Freedom of Information Act request, but has since revisited the ruling and has ordered the DHS to explain the secrecy. Obama's desire to "normalize" relations with Cuba has given Raul Castro, Cuba's leader, the opportunity to lay down his conditions for that normalization. Despite the fact that the brutal Castro regime enslaving Cuba continues to support terrorism and harbor American fugitives from justice — not to mention its ruthless oppression of the Cuban people — the Obama administration is reportedly plotting to remove the Communist Party dictatorship from the official U.S. government list of state sponsors of terrorism. According to media reports, the John Kerry-led State Department completed a “review” of Havana’s record and recommended that the regime be taken off the list. However, numerous analysts have pointed out that doing so would be a disaster — not least because the Castro regime has never stopped supporting terrorism.